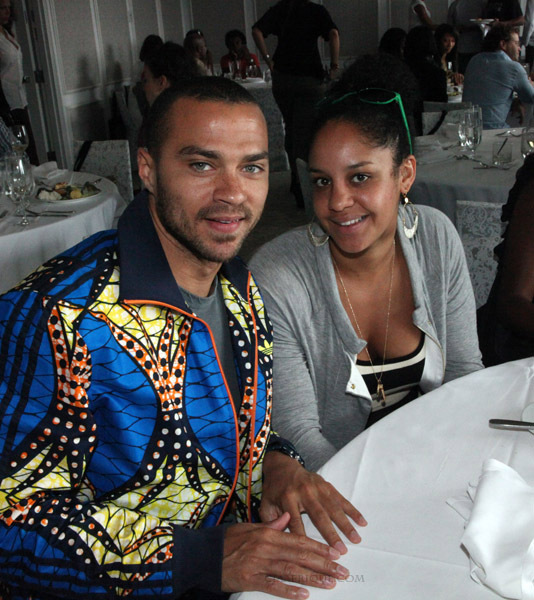 Greys Anatomy Actor and cutie pie Jesse Williams was spotted yesterday wearing this African print shirt. It looks more like a jacket type. Not sure who designed it but will let you know once I find out. Unfortunately this eye candy is already taken. The first pic is him and his fiance. Do we love it ?